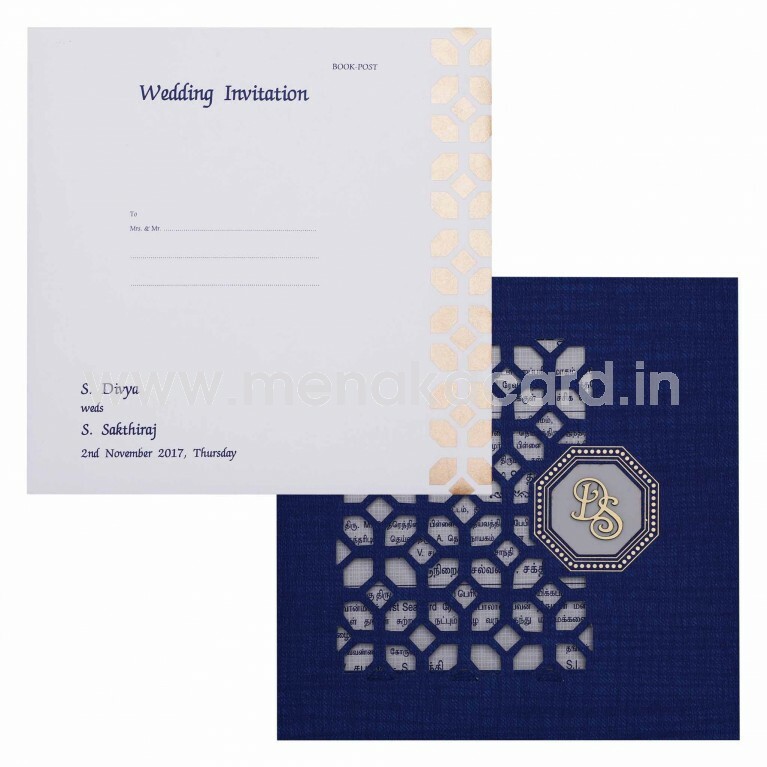 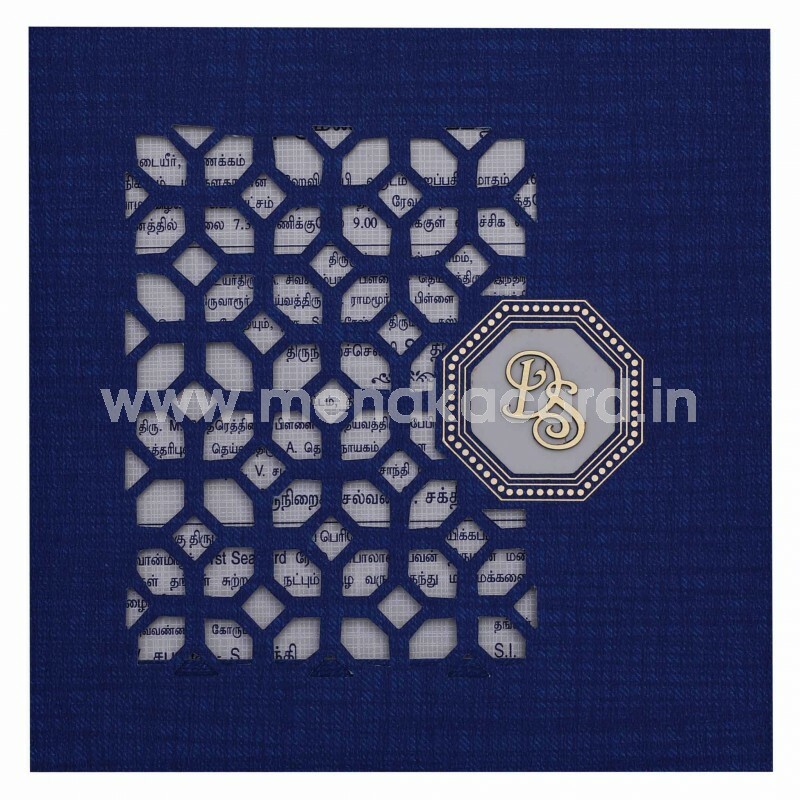 This contemporary Royal blue card is made from a handmade material and has a minimalist octagonal mesh die-cut pattern on the main flap of the card flanked by a delicate gold Ganesha laser sticker sitting in the middle of an octagonal frame decorated with gold foil. 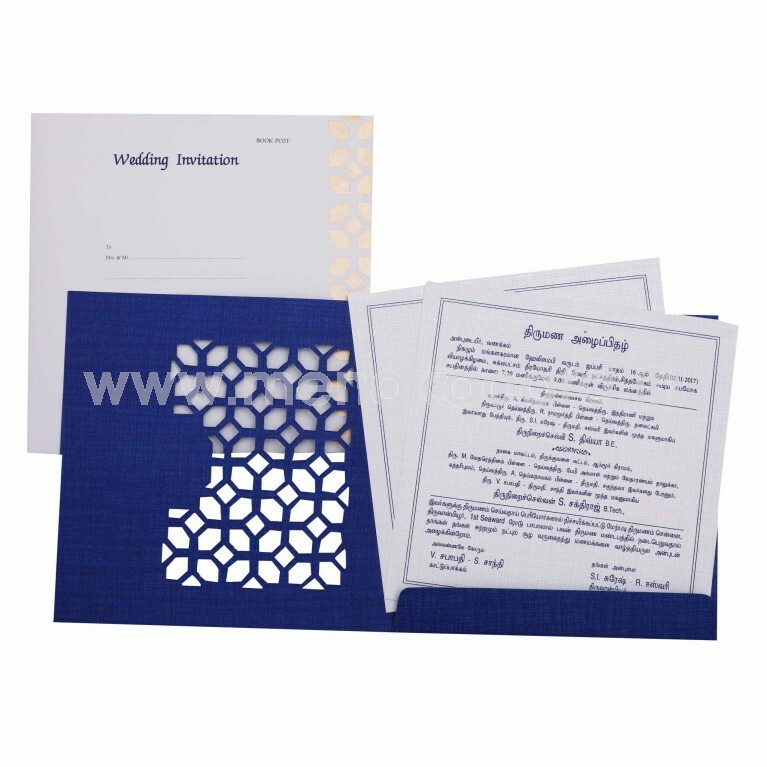 The cardholder has two off-white inserts printed with contrasting maroon text. 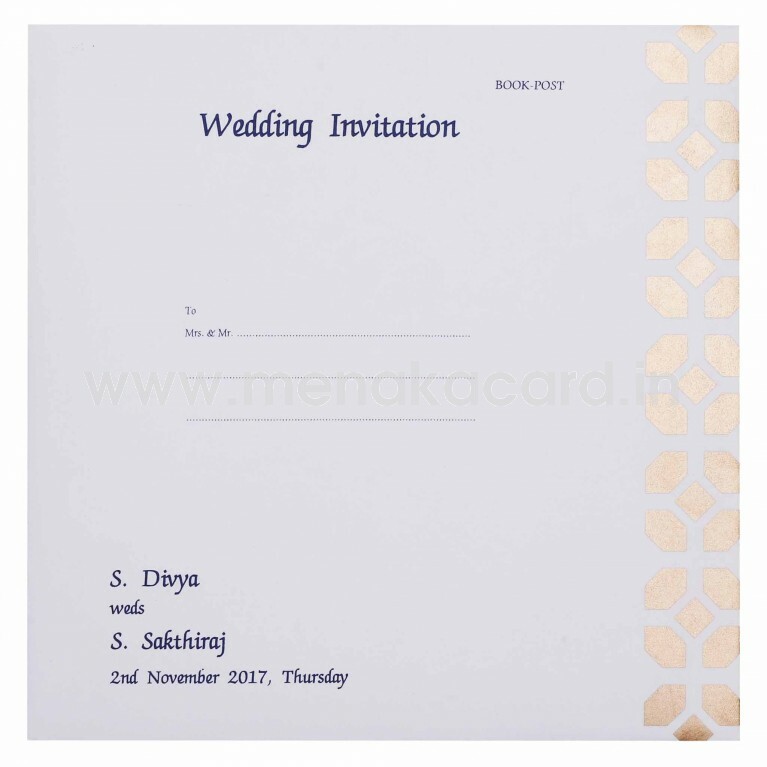 The envelope is a Cream cover made from a matt finish artboard printed with the same minimalistic octagonal pattern as the card front. This card can be used for Hindu weddings, receptions and engagements.